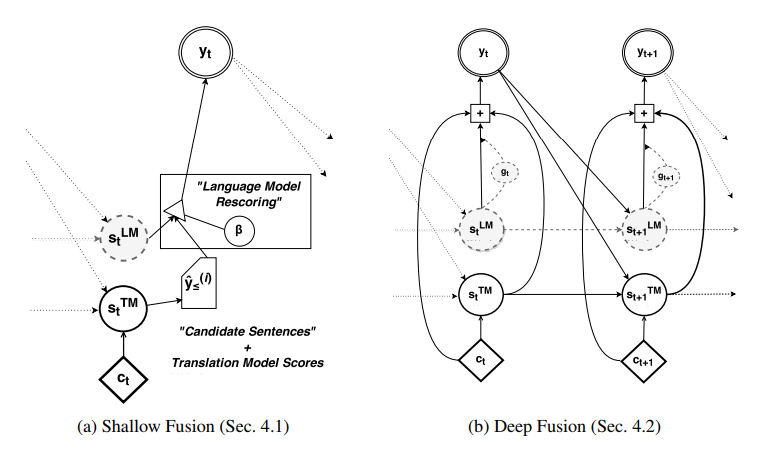 The authors extend a seq2seq model for MT with a language model. They first pre-train a seq2seq model and a neural language model, then train a separate feedforward component that takes the hidden states from both and combines them together to make a prediction. They compare to simply combining the output probabilities from both models (shallow fusion) and show improvement on different MT datasets.